Depends on how far you go and what season. Located a few miles past the town of Eldora, the 4th of July trail is a portal to an amazing assortment of peaks, lakes and vast mountain scenery. The trail is named for the old 4th of July mine which is part of the many mine ruins along the way. 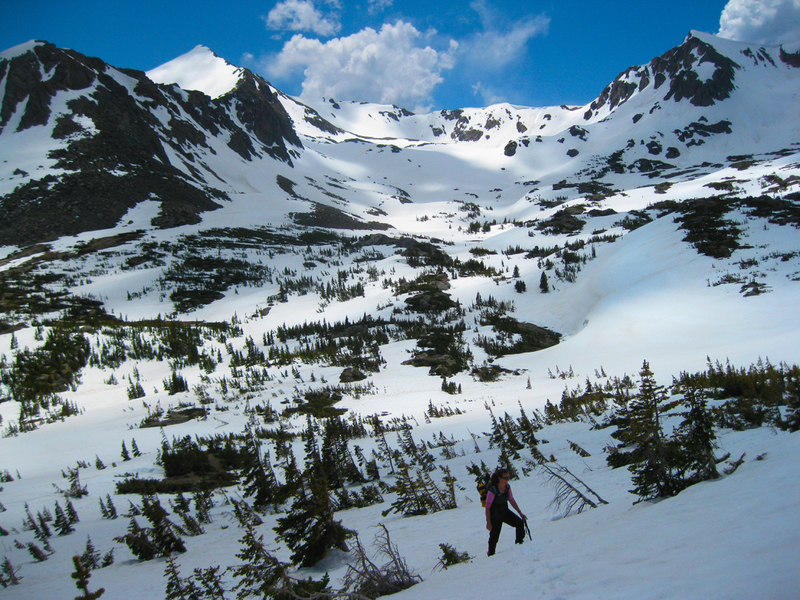 As a gateway to the Indian Peaks Wilderness, this popular trail is ideal for day hikes, backcountry camping and mountain climbing. As an easy-to-access backcountry trail, the wealth of wilderness scenery along a well-maintained path opens up many options for intrepid explorers. South Arapahoe Peak (13,379 ft.) is a popular walk-up that offers a class 3 scramble over to North Arapahoe Peak (13,502 ft.). Mount Neva (12,814 ft.) has a nice, semi-technical scramble from Arapahoe Pass. These are also fine mountains to ascend in the winter/spring via several couloirs. For those just looking to hike, the trail is only 2.0 miles to breach treeline, where several old boilers and mining ruins remain embedded in the landscape. A standard day hike along the trail parallels the rushing waters of the North Fork of Middle Boulder Creek, complete with waterfalls and a few easy river crossings. 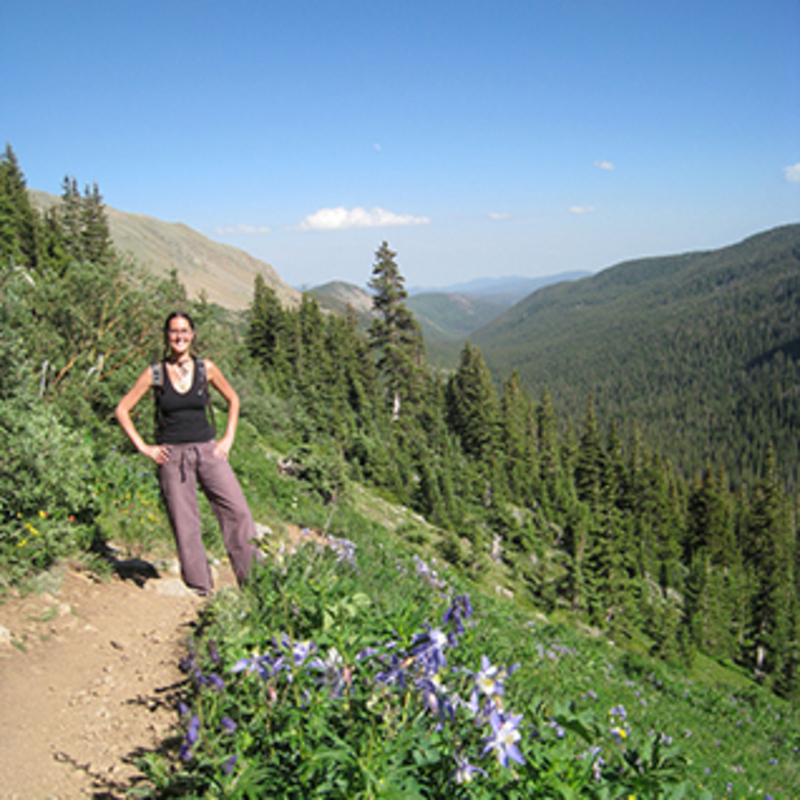 Hiking up to Arapahoe Pass gets you above treeline -- where wildflowers bloom -- and offers access to several excellent mountains: North Arapahoe Peak, South Arapahoe Peak, Mount Neva and Jasper Peak. Trails spur from the 4th of July Trail to the Diamond Lakes, a series of shimmering alpine pools at the base of the 13,000 mountains. Going off-trail leads to seldom visiting lakes and the wreckage of a small Cessna plane crash. The southern end of the Indian Peaks have impressive views of the western mountains -- though the lakes, rivers and rolling forests are amazing as well. In summer, colors explode in alpine meadows, where the red hued indian paintbrush grow in droves. The waterfalls are a photographer’s delight and the entire experience can be reached along a modest and well-maintained trail. Peak baggers, day hikers, those eager to get off trail while still being close to established trails, backpackers and photographers. Mountaineers love the winter potential of this area, though the access road to the trailhead is closed by mid-November and tacks on another 4 miles of skiing/snowshoeing to get to the start. From Nederland, head south on Colorado Highway 119 for 0.6 miles. Turn west onto County Road 130, signed for Eldora. Follow the paved road through the valley to the Town of Eldora, where the pavement ends. Continue beyond the end of the pavement 4.0 miles to the end of the road. This road is passable by passenger cars but it can be a little bumpy. In shoulder seasons, expect mud and snowdrifts when the road is open.There are no fees for day hiking but you will need a permit for seasonal overnight camping.